As Pierateer SJL had stayed over on Saturday night following our pie rating of the Scotch Pie and Apple Pie from none-other than the 2014 and 2016 Scotch Pie World Champion The Kandy Bar Bakery, it would have seemed rude not to kick off Day Seven of British Pie Week with a pie or two for breakfast! It was also a busy day for pie making, with both the Ship's Cook and Pierateer ARL cooking up a storm in their respective kitchens to nicely round off another packed British Pie Week! While Pierateer RAS went for the more standard sweet pie option on Sunday morning, finishing off where he started the week with a sweet Mr Kipling pie (this time a cherry pie), Pierateer SJL went for the more exotic choice. We'd been sent over a selection of pies from Chunk of Devon, whose pies we've rated highly in the past, and Sam went for their new "Ricardo's Pie", a hot chili vegetarian pie option. 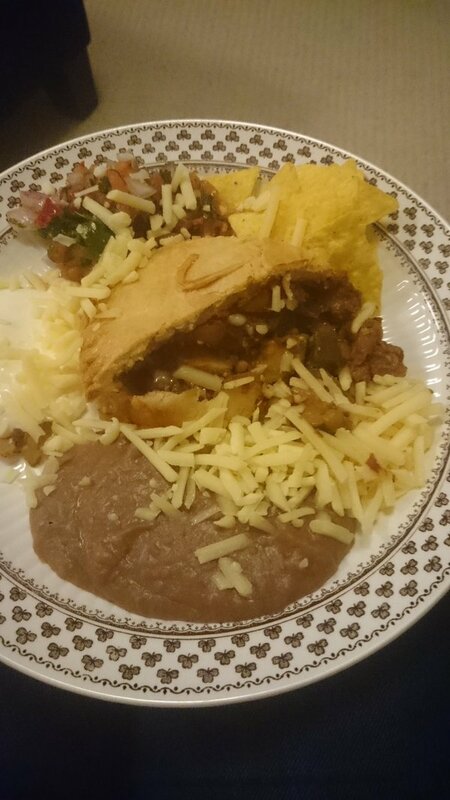 While the top of this Ricardo's Pie was not pastry, so will lose some marks from the Pierateers, it was an enjoyable pie and will be reviewed soon. The other Chunk pies - while we didn't quite manage to squeeze eating them in British Pie Week - will also be reviewed soon too! You also may recall that on day four of British Pie Week Pierateer RAS completed the final stage of his #TriPie pie pledge. 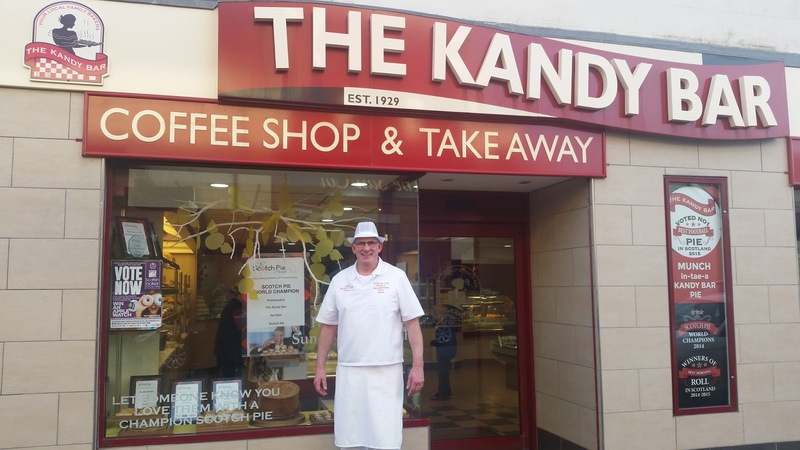 He headed up to Scotland for the first time to visit the home of the World Scotch Pie Champion for 2014 and 2016, The Kandy Bar Bakery in Saltcoats, on the West Coast about 40 minutes train journey from Glasgow. Well having pie rated the Scotch pie and apple pie together with Pierateer RAS on Saturday evening, Pierateer SJL finished off British Pie Week by eating the Onion pie (a variant of the Scotch pie, which also contains onion - not just a 100% onion filling!) The reviews of all of these pies will be coming soon! Day seven of British Pie Week however really belonged to our home bakers, with the Ship's Cook and Pierateer ARL both creating their own unique pies in their kitchens. 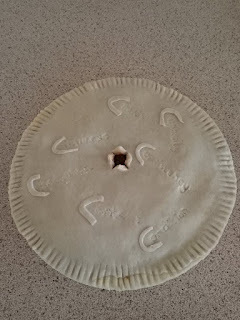 You can read how the Ship's Cook made and rated her Pierate Ship Pie - including how she created a ship shaped pie crust - in her reci-pie review, which all aboard the Pierate Ship thought looked amazing! 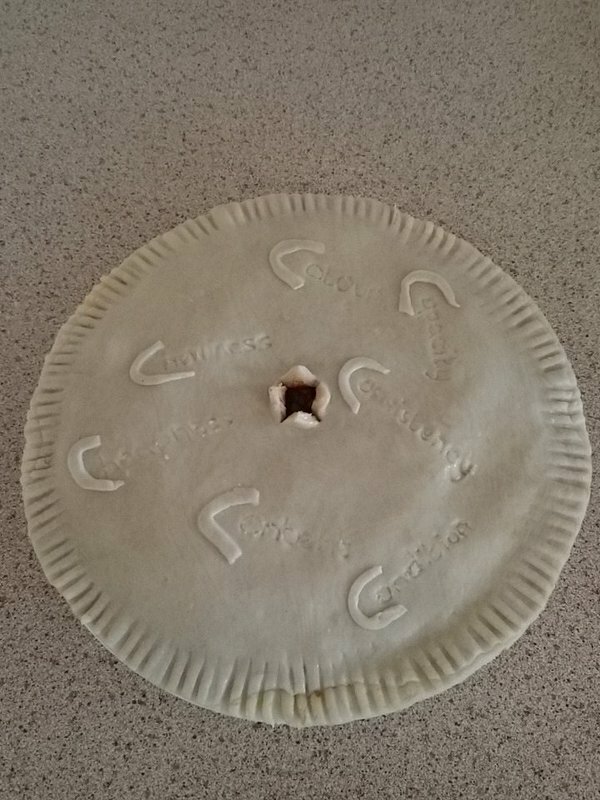 Pierateer ARL, our vegetarian pie reviewer who earlier in the week rated the brand new Pieminister vegetarian pie they released this British Pie Week, also made a quirky pie on Sunday. She used the 7 Cs theme to include only veggie ingredients beginning with C, which are listed below the photos! Would you have guessed any of these? What 7 Cs would you have used in your pie - veggie or not?! Thanks to everyone who has followed our adventures this British Pie Week! It's been full of shocks, surprises and of course plenty of pies! Of course every week is effectively British Pie Week to us aboard the Pierate Ship and we hope you'll come back for more pie reviews soon!